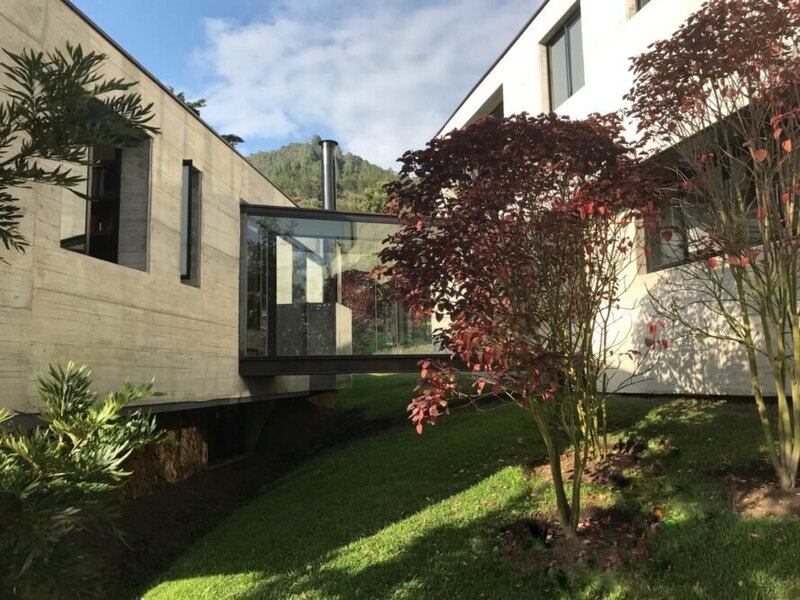 When Medellín-based architecture studio Juan Manuel Peláez Arquitectos (JUMP Arquitectos) visited its client’s property in nearby Colombian town of La Ceja, the team was so impressed with the landscape that they resolved to minimize alterations to the site. 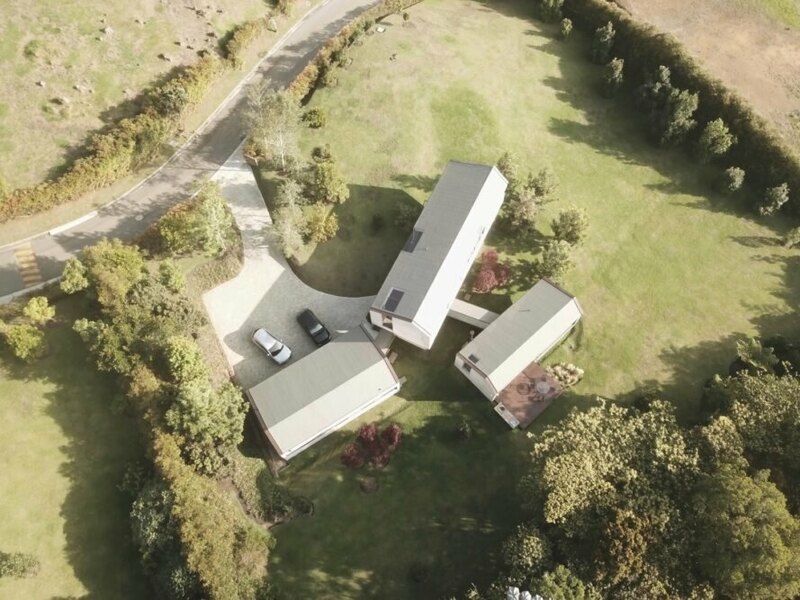 To that end, they adapted the built forms to the uneven terrain by splitting the residence — dubbed the C47 House — into three gabled volumes united by two glazed bridges. 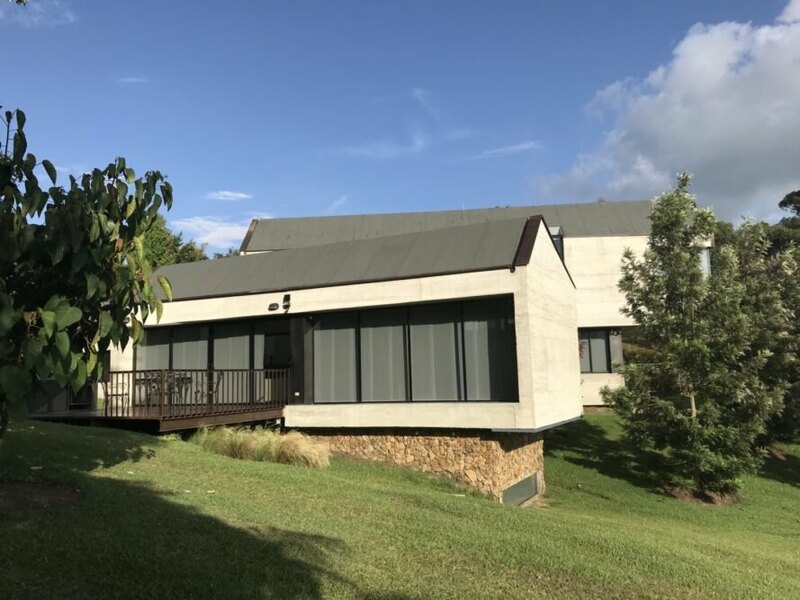 Built of concrete, the homes take advantage of the material’s thermal mass to absorb heat during the day and release warmth during cool nights. Covering an area of 3,831 square feet, the C47 House consists of three connected buildings. To the north is the single-story garage with service quarters that connects to the central second-story building via a short glass-walled bridge and outdoor walkway. This middle building houses the kitchen and dining area on the ground floor as well as two bedrooms on the upper floor. A long glass bridge stretches out to the west and connects with the third building, a single-story volume comprising the living area and lounge. Each building is strategically laid out to minimize site impact. The positioning of the homes were also informed by the region’s climatic conditions, particularly how cold the temperatures in the area turn at night. The concrete walls help harness solar gain during the day, which is then dissipated as passive heating at night. Large windows flood the interiors with natural light and are carefully placed to frame select views of the neighboring hills and nearby forest. 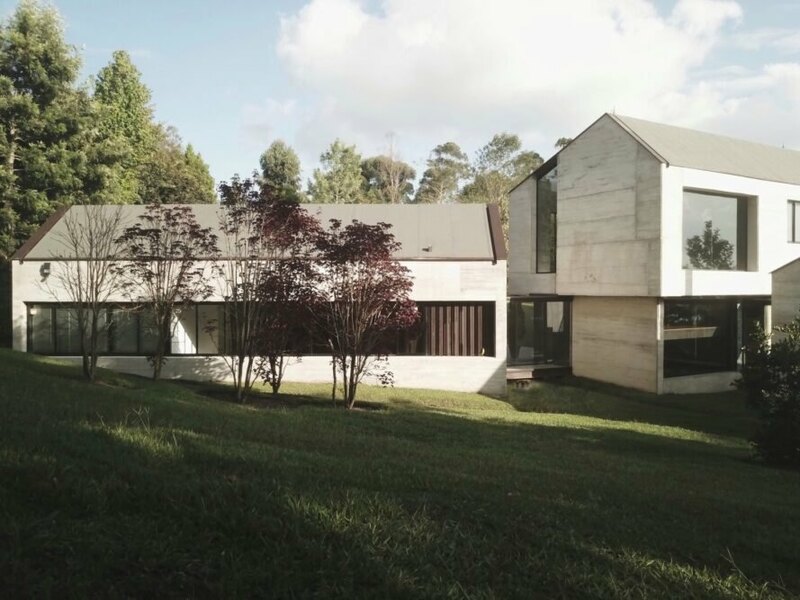 JUMP Arquitectos designed this stunning home for a climate-sensitive landscape. To minimize site impact, the concrete home is split into three connected volumes. Passive design techniques keep the home comfortable year-round. 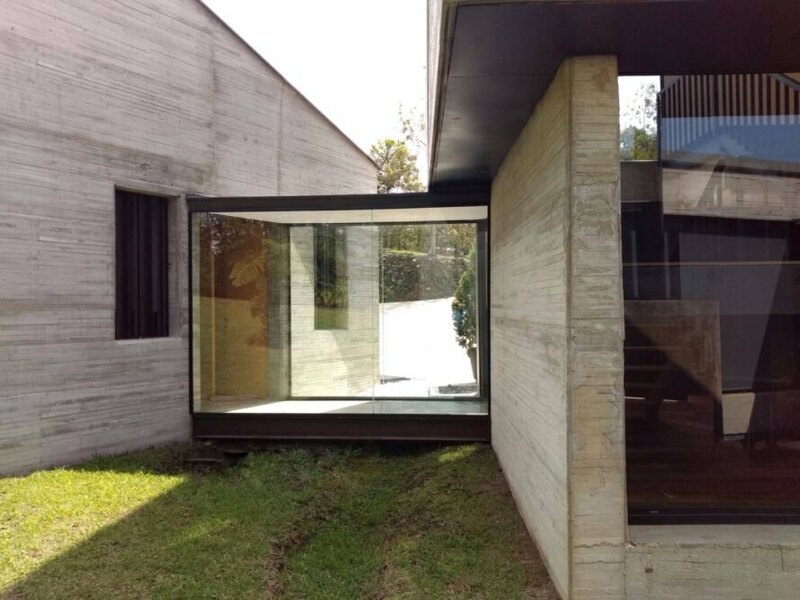 The house follows the natural slope of the landscape. Glass-enclosed bridges connect the volumes to one another. The home spans 3,831 square feet and makes the most of the serene views.